We are able to provide essential spirometry assessments, for all the patients with possible lung problems. 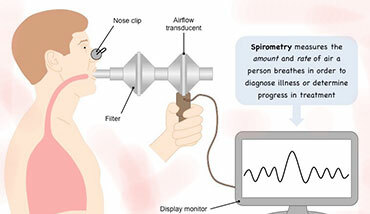 We are well-trained in Spirometry, and the test can be performed in our consultation. Our prime objective is to provide you with one of the most vying private Spirometry testing services. The test results will be checked by one of our professional and if there was anything worrying on it, our professionals may suggest an onward referral to a respiratory physician.